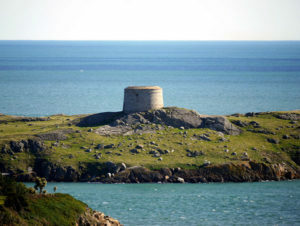 The island is now uninhabited by humans, but there are the remains of houses, a church and a Martello Tower. Located less than 300 metres offshore the island comprises 9 hectares. It is an important site of ancient and historic remains. Artefacts from the island, now housed in the National Museum in Dublin, are evidence that the original occupants were from the Mesolithic or Middle Stone Age. There is evidence it was inhabited in the 4th millennium BC (6,000 years ago) and was also used as a Viking base. The ruined stone church was built in the 9th/10th century and was probably abandoned when the Vikings used the island as a base to form part of the busiest port in the country at that time. 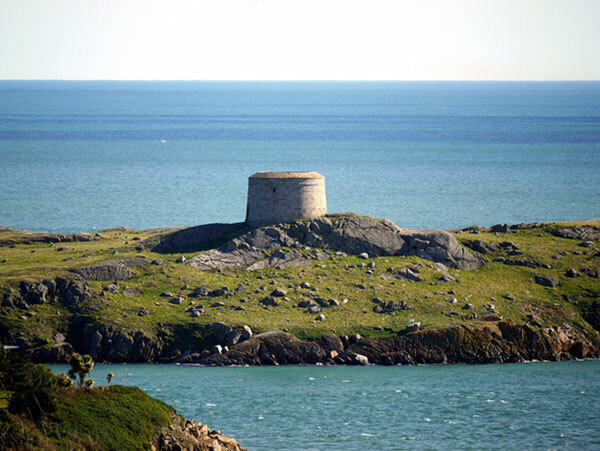 In the early 19th century the British Admiralty erected the Martello Tower, one of eight dotted along the Dun Laoghaire coastline, as an early warning defensive device against the one time threat of invasion during the Napoleonic Wars. In many ways the history of Clontarf is a microcosm of the nation’s history in that it deals with the same general headings: Early Celtic period leading to the advent of Christianity and beyond; the Viking invasion followed by Conquest and Colonization; the Georgian / Victorian and pre-modern period, and finally the modern post-colonial period taking us up to present day. 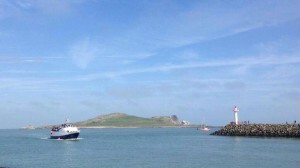 Ireland’s Eye is a small uninhabited island off the coast of County Dublin, Ireland, situated directly north of Howth Harbour. 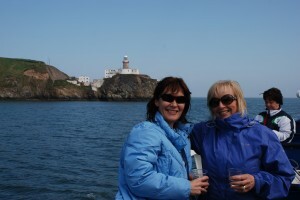 Ireland’s Eye comprises the main island, a range of rocks and an islet called Thulla. 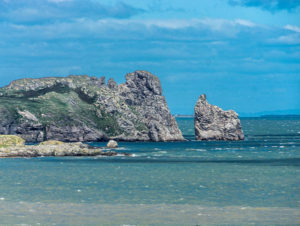 The most spectacular feature is the huge freestanding rock called “the Stack”, at the north-eastern corner of the island, which plays host to a large variety of seabirds, including thousands of guillemots, razorbills, fulmars and gulls. Ireland’s fifth gannet colony became established on the Stack in the 1980s, and there are now a few hundred pairs breeding there each year. There is a large cormorant colony on the main island, and a few breeding pairs of puffins. Grey Seals are abundant in the sea around the island. 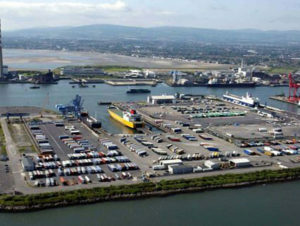 The medieval port of Dublin was located on the south bank of the River Liffey near Christ Church Cathedral, some kilometres upstream from its current location. 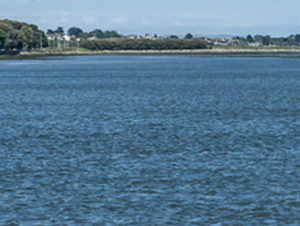 Dublin Bay had a long-running problem with silting at the mouth of the River Liffey, and held major sand banks, notably the North Bull and South Bull (both hard sand dry at low water). In 1715, the South Bull Wall was constructed to shelter the entrance to the port. Poolbeg Lighthouse at the end of the South Bull Wall was constructed in 1767. While the South Bull Wall was hailed as an engineering feat without parallel, the consequences were minimal in so far as deepening the river channels and the bar was concerned. At the turn of the 19th century eminent marine specialists were invited to submit proposals for the improvement of access to the Port. A suggestion by Captain William Bligh (of Mutiny on the Bounty fame) in 1801 that a wall be built on the Northern bank of the river, parallel to the Great South Wall, was seriously considered by the Port Authority but eventually superseded by a broader plan. It was expected that the resultant natural scour would deepen the river and its approaches without the assistance of any other works. There was considerable disagreement as to the precise location and route of the wall. There was also a shortage of funds. Money was made available 19 years later when, following a new survey by Francis Giles, a joint report by Giles and the Port’s own Engineer, George Halpin, recommended the construction of what now is the North Bull Wall. The wall was commenced in 1819 and completed in 1824. The materials used were granite and local limestone. 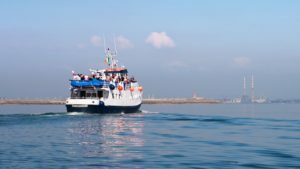 North Bull Island is an island located in Dublin Bay, about 5 km long and 800 m wide, lying roughly parallel to the shore off Clontarf. 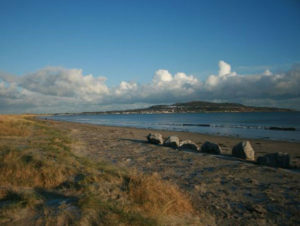 Bull Island is today one of Dublin’s most treasured tourist attractions that incorporates two golf courses, Dollymount Beach and the North Bull Island Nature Reserve. 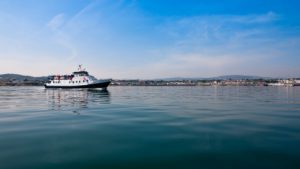 With some wonderful facilities to savour, one could be forgiven for thinking that this attraction has been around for centuries, when in reality no access existed to the emerging island before 1821. The island, with a sandy beach running its entire length, is a relatively recent, and inadvertent, result of human intervention. 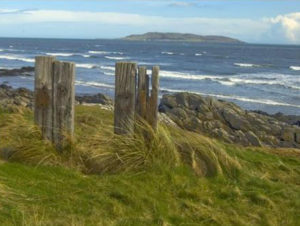 Lambay Island lies in the Irish Sea off the coast of north County Dublin. 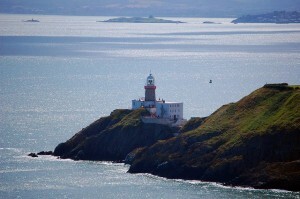 It is four kilometres offshore and is the eastern most point of the Republic of Ireland. 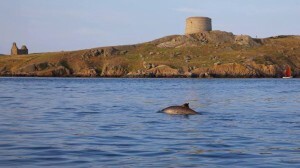 It is the largest island off the east coast of Ireland and is about 2.5 square kilometres in size, and rises to 127 metres. There are steep cliffs on the northern, eastern, and southern sides of the island, with a more low-lying western shore. The island supports one of the largest and most important seabird colonies in Ireland, with over 50,000 Common Guillemots, 5,000 Kittiwakes, 3,500 Razorbills, 2,500 pairs of Herring Gulls, as well as smaller numbers of Puffins, Manx Shearwaters, Fulmars, and other species.